Florida's extreme summer heat, high humidity, typically sandy soil and other characteristics present distinct challenges to growing non-native plants there. For optimal chances of success in growing plants in the shady areas of Florida, choose plants that are native to the state and are known to thrive in full shade. Doing so will also require less watering and maintenance than attempting to acclimate non-native shade plants to the area. The royal fern often grows wild in Florida's moist wooded areas, and in similar environments around the world. It gets its distinguished name because of the plant's wide fronds and overall large size for a fern. It is an evergreen that can be trimmed and used as ground cover or allowed to grow to a height of up to 5 feet. 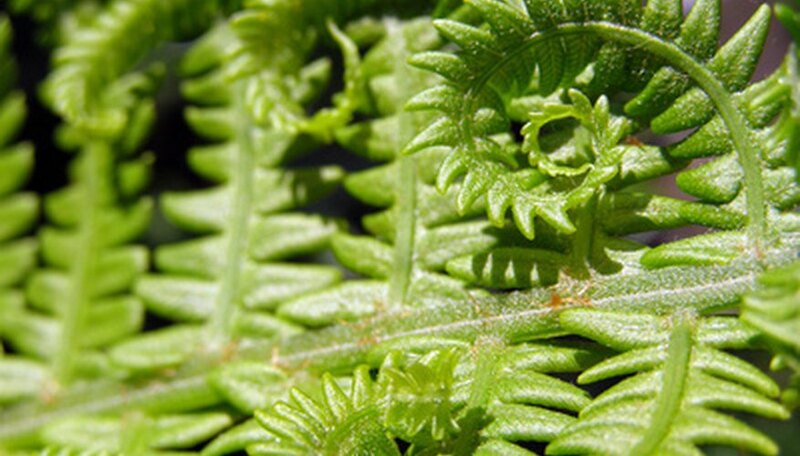 The most visible fronds are sterile, while the fertile spore-carrying fronds are usually darker and curled up, making them more difficult to see. Royal ferns are plentiful in exceptionally damp and shady Florida environments like the Everglades. Spiderwort is a small, fast-growing plant that also grows wild in great numbers throughout Florida's wooded areas. It produces thin leaves that look like blades of grass and bright, three-petal blooms that are often bright blue, but can also be white, pink, purple or red. The blooms are often open during daytime hours when the plants are protected by the shade, but they close up when exposed to direct sunlight. Spiderwort is generally considered a weed, but because of its attractive appearance and not overly aggressive nature, it is sometimes left behind when other weeds are pulled. It is also commonly cultivated and used for groundcover, garden borders and for growing in containers. Anise is a herbaceous plant that is often cultivated for its seeds, which are commonly used as cooking ingredients for their intense licorice-like flavor. A native Florida plant, anise grows as a thin, spindly stem with a few small leaves, topped with a bouquet of tightly packed white flowers. It should not be confused with star anise, a predominantly Asian plant that is also used for its licorice-like flavor and is much more common than ordinary anise. Its distinct flavor comes from its high level of anethole, an aromatic compound that is also found naturally in fennel seed. It grows best in full shade and is tolerant of Florida's sandy soil.